Everyone's favorite purple-clad, stylish, English gentleman ninja returns in a new ongoing series from Valiant. If you're not familiar with the character, Ninjak #1 throws you right into the character and his world, doing so adeptly by showing him at 3 different points in his life. While there's a lot to follow, this issue feels successful as a standalone first issue giving readers a deeper dive into one of the fun characters in the Valiant superhero universe. Ninjak is a man on a mission. He's always on a mission. In the few years since the Valiant universe has been reintroduced, Ninjak has been the badass ninja warrior that the government or other parties have brought in to take down super-powered threats. He doesn't have super powers, but what he has is tremendous martial arts skills, seemingly unlimited resources, and the confidence that he can go toe-to-toe with anyone, including killer robots, super-armored warriors, or insane telepaths. This first issue tells several different stories. 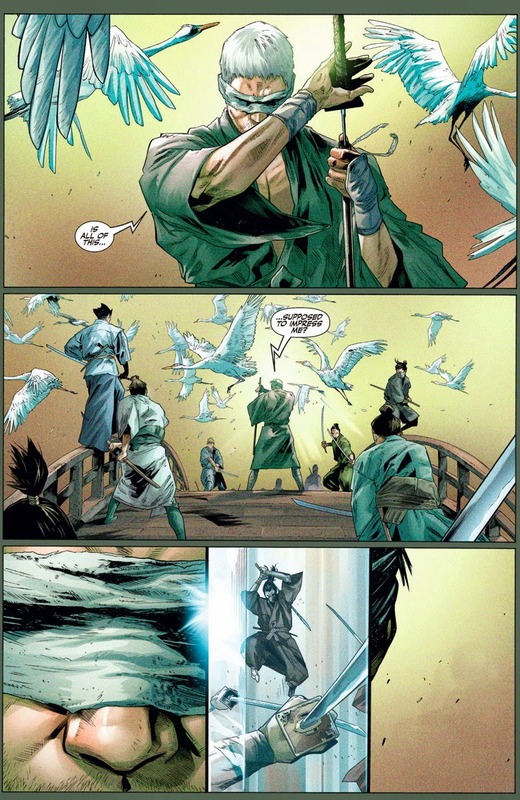 In the first (illustrated by Clay Mann and Seth Mann), Ninjak frees a fearsome baddie named Roku* in order to curry favor with her boss, a weapons maker. He does so, but only at the cost of his dignity (karaoke and removing his clothes are involved). In the second story (illustrated by Butch Guice), we meet a younger, far less confident Ninjak, on one of his first missions as a young agent. There's a lot to like in this first issue. 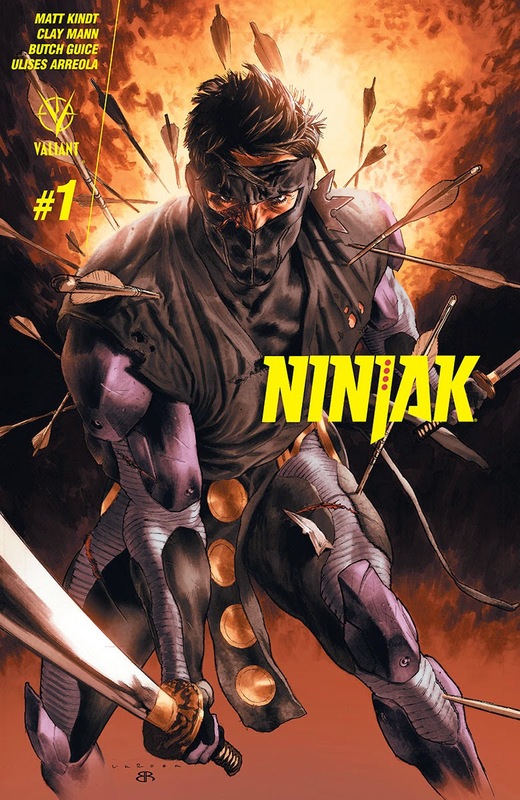 Returning Valiant fans will really enjoy getting more of a deep dive into Ninjak's past, and newer readers will enjoy the action, intrigue and suspense, and wonder how someone turned from the callow, nervous young man of the second story to the supremely capable, hard-edged man of the first one. Kindt has an excellent handle on the character, which is not a surprise because Kindt has been writing the character for a while now in the Valiant team book Unity (in addition to writing or co-writing Rai, The Valiant, and Divinity). Ninjak has an air of superiority and arrogance to him, which makes sense given that he grew up in an actual castle. However, there's also some scenes in the first part of the issue that hint at some of the darkness in Ninjak's early life, which may have made him into the hard, solitary, arrogant man he is now. We also see his love of martial arts from an early age, as he sneaks out of his house to go see a martial arts movie (that he then quotes to great effect as an adult in the story). Kindt also shows us that Ninjak wasn't always the supremely confident warrior who slices guys in half and thinks nothing of it**. He wasn't even Ninjak; he was once a nervous young agent named Colin out on his first mission, being coaxed and reassured by his more experienced handler. 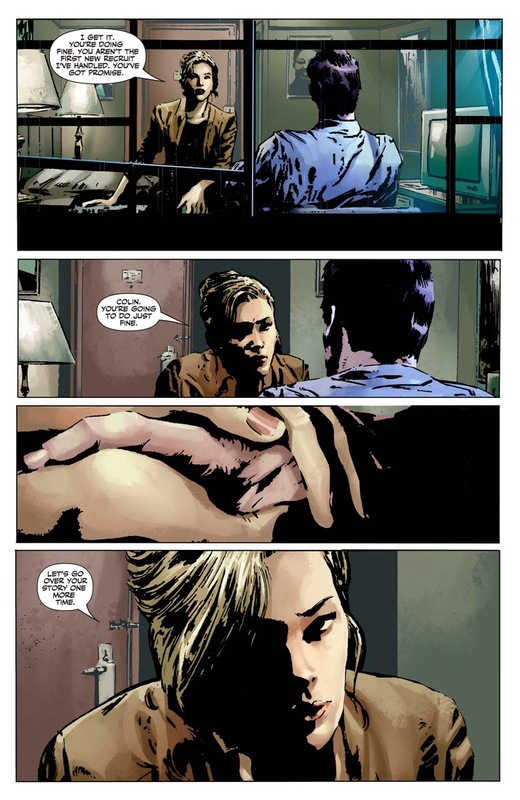 Kindt has highly capable partners in Clay Mann (pencils) and Seth Mann (inks) and Ulises Arreola (colors) in the first part of the issue, and Butch Guice and Arreola in the second part, with letters from Dave Sharpe throughout. Clay Mann has illustrated other Valiant books (X-O Manowar), and he brings tremendous detail and energy to the page in this first issue. Ninjak is a man of action and motion while also operating in the realm of stealth, and if an issue can't convey those things convincingly it won't succeed. In Ninjak's confrontation with Roku, we see both his and her skill, and that she's a fearsome opponent but that he's also highly capable. Mann illustrates Ninjak as both a child and an adult, and while the child has much to fear, Mann gives us (in small expressions) some hints of the man that he will become. Arreola's colors feel bright but not overpowering; they're entirely appropriate depending on the setting, whether it's a kung fu movie theater in a rough part of town, or a sterile office setting, or a pastoral English estate, they work well in setting a realistic but vivid palate. The backup story has a completely different feel to it. Guice is a master of moody atmospherics, with a style kind of like a rougher Steve Epting mixed with a little bit of David Aja. Guice's lines are complemented nicely by more muted, rainy, washed out colors from Arreloa that give the back story a slightly distant feel that works well for a tale of espionage from years before. It's a world that looks much less clean and modern than the one depicted in the earlier part of the issue. This is a strong debut issue. There's a lot to like here, as the creative team shows Ninjak as a compelling character, from child to rookie spy to deadly ninja assassin. Regardless of whether you're familiar with the Valiant universe, if you're a fan of engaging espionage and martial arts stories, Ninjak #1 is worth a look. * She has genetically modified hair that she can use to garrote people or break metal. I wouldn't mess with her. James is a lawyer by day, and an avid reader of comics whenever he can. He loves his family, friends, and getting all of them into comics. He is on Twitter @sinisterjhk.